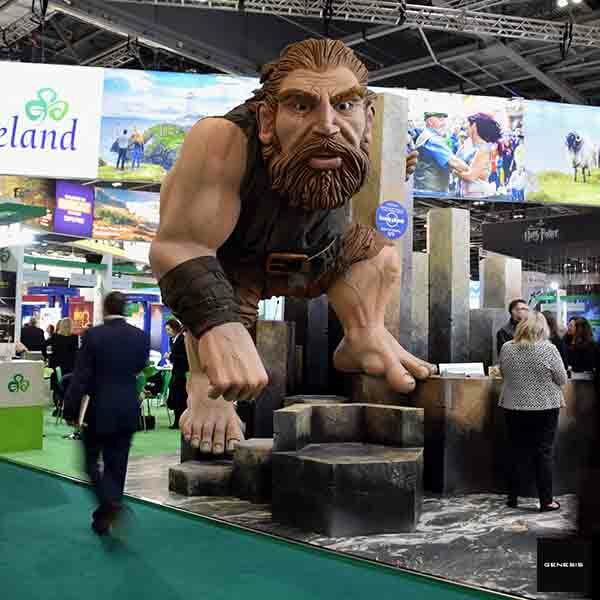 Tourism Ireland has taken the award for “best stand feature” at World Travel Market (WTM) 2017 in London. 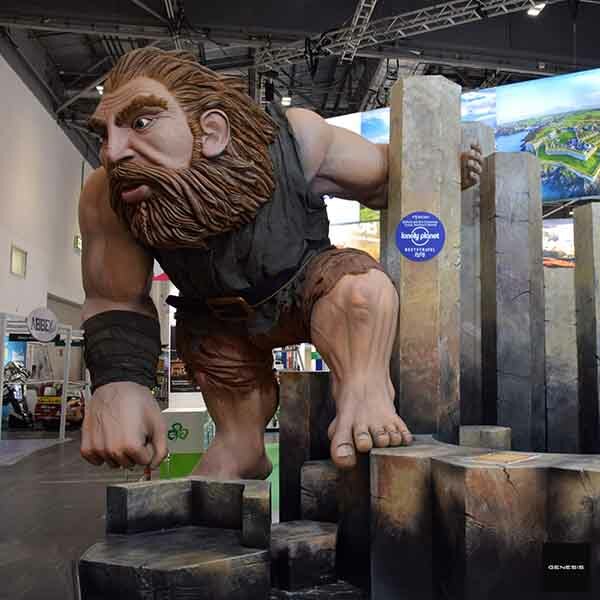 The award was for the giant sculpture of Finn McCool, who was perched on some replica Giant’s Causeway stones, providing a “selfie” opportunity for visitors to the stand. 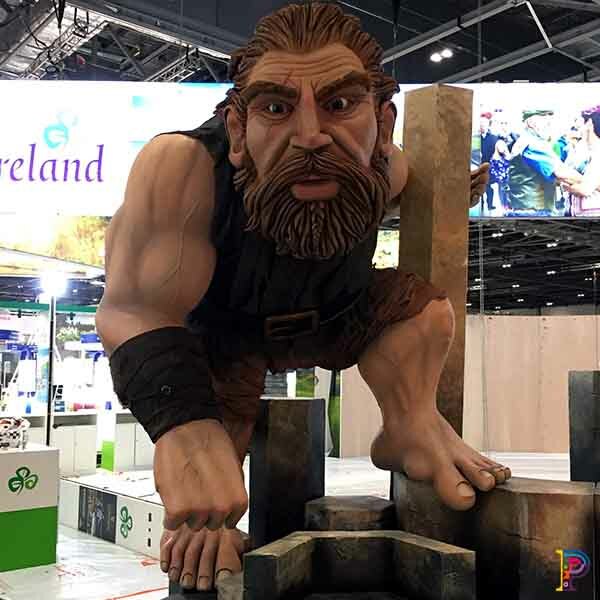 The concept for the Tourism Ireland stand, the production and the giant, Finn McCool, at the centre of it all was the brain child of Genesis Design. And, it was for the production and installation of the Finn McCool sculpture that Genesis got in contact with us in Plunge. 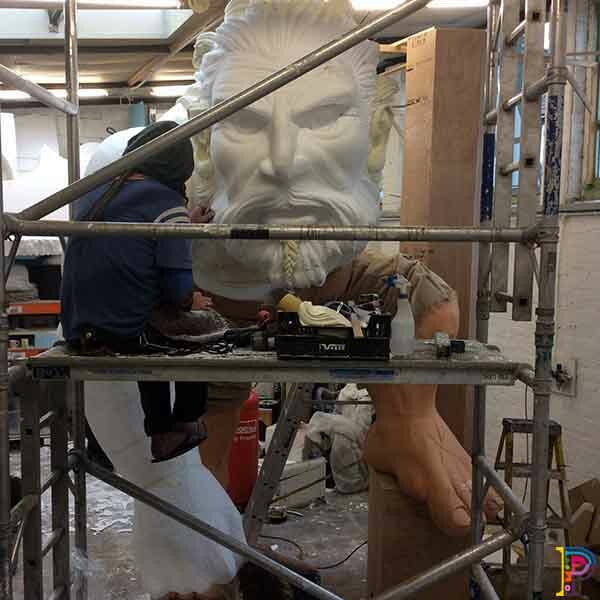 Taking their concept drawings, we translated translated these into a 3.5 metre tall giant polystyrene sculpture of Finn McCool as it was envisaged by their designer.